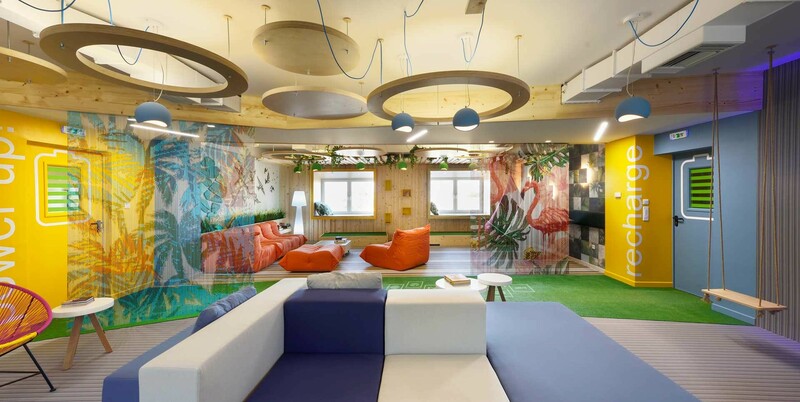 Kaput Design, studio specialized in creating functional spaces but with its own identity, was in charge of designing the Relax Room of the Beta Cae Systems offices, a software engineering company located in Thessaloniki, Greece. 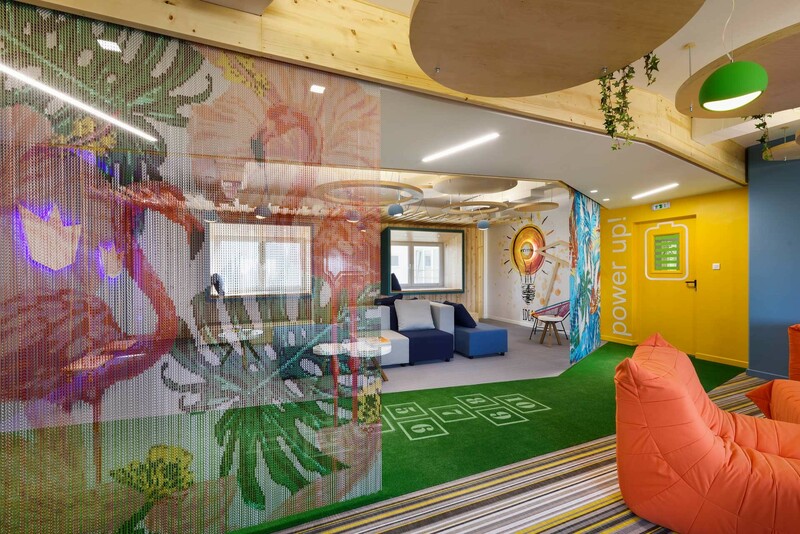 The space, where employees can relax, have fun and recharge batteries, includes two colourful space dividers from Kriskadecor that fit with an environment inspired by nature. Our anodized aluminium links allow any architectural or design project to be different and refreshing, filling it with colour, light and vivacity.